Make your dance or prom ROCK! 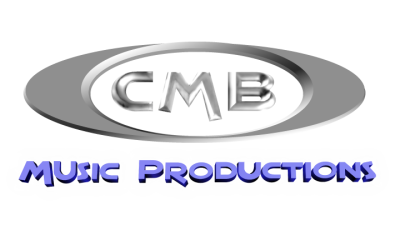 CMB Music Productions is the best when it comes to getting your school energized all night! Bring the excitement of your school dance back to life with a DJ from CMB DJs. It's a non-stop party...with DJs that mix the hottest dance mixes...and awesome light shows to create the party atmosphere! Live dance cameras, music video, decorative uplighting and effects are just a few options that we can offer your school to create the best experience for your theme and school dance fun. Our Photo Booth is a great interaction for students at a dance or a prom. Our booth includes attendant, prints, custom text for prints, all images from the night, for up to 4 hours standard. Music video is an exciting feature that will make your party or event stand out from the crowd. 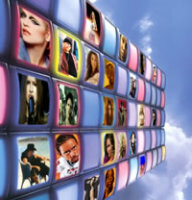 With a music video setup we can play the music videos of your favorite music. We have over 1,000 videos to mix from. Plus many more visuals to project. A 50" TV or a 11ft projection screen is available. Lighting can change the look of any room and add excitement to your dance floor. We have many different options to light up your venue and tie into the décor' theme for your event. Patterns, uplights, monograms, elevated truss systems with computerized lighting.....we have a huge arsenal of lighting to make your dance....like... WOW! Our Interactive Video System is an onscreen interaction for dancers. There are tons of visuals and even games that your guests can interact with. This is great for teen birthday parties. TV or Screen setups available. We can setup online requests for your school event! This includes a custom web link making it simple for students to log on and requests their favorite dance songs before the dance! The list is viewable for administrators to review at all times. Our awesome decor' lighting will add so much to your dance or prom theme! Patterns, textures, effects and more! Call us, and let's talk about your theme!